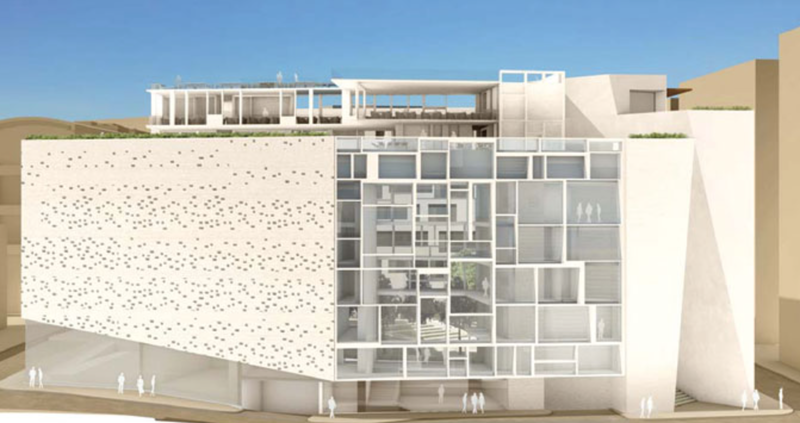 This entry was posted in Lebanon and tagged 1338 Mina el Hosn, 3Beirut, Architecture, Beirut, Beirut Terrace, Development, Herzog & De Meuron, Jean Nouvel, Lebanon, Norman Foster, Peter Morino, Pinwheel, Renzo Piano, Solidere, Zaha Hadid. Bookmark the permalink. That too! Soon enough, they will be out of places to build so they will build on the rocks themselves. Haha! Or build a cedar-shaped floating island! That project would have been an epic addition to the list. They are building a floating hotel next to Jounieh, no? Sadly it’s under construction. Instead of investing in affordable housing programs..
Protestors and activists have lost this place for the greedy pigs for good? Beirut isn’t ours anymore. That’s what I always say. I don’t find myself in those street; the perfect looking but soulless city. I don’t mind smaller apartments. There should be a shift in Lebanese mentality towards houses and apartments: just because you can afford big, it doesn’t mean you should go for it. Sometimes the space is unnecessary. One would think that we invited all these architects to collaborate on one concept “loosing our identity”. Perhaps. The ending of The Guardian article I linked says something along those lines. At least these people are investing, progressing, doing something for the city and for themselves. While everyone else just complains at the city. I didn’t say investments are a bad thing. 1- Zaha’s project won’t have residential spaces in some of its floors-please correct your info. 3- The architect’s name is Peter Marino and not Morino-Please correct your spelling. 1) It will. Check the link. 2) Fixed. Obviously I know how Solidere is written as that is how I wrote it in all instances except one. Typos. They happen. “Nice” architecture isn’t always applied, however, and getting big names just because you have the resources doesn’t always amount to something nice. You bet wrong. I’m definitely not the crowd for the new projects. And once upon a time, not too long ago actually, before Solidere existed, DT was for everyone. Of course, if you’re content with it being for the rich and empty as it is, then be my guest. The pure products of the show-off Neo Liberal developments who claim to be serving the people while they serve nothing but their pockets and rob off the people – and those who think this aggressive gentrification is a good thing should research more about social inclusion and fair cities. Thank you for the article Elie! Check how beirut was and then tell me who would have done all that..
Did you know that solidere had an american company extract the gas left by the war in the soil for two years ? How do we expect these companies to preserve Beirut’s soul and identity if these architects themselves know nothing about it and didn’t see, witness, live the Beirut of the pre-civil war era? I think Beirut is having major plastic surgeries to make her unique looks fit the international and western standards. But Beirut is not Milan. Beirut is not Paris. Beirut is not NYC. Beirut is not Tokyo. We need to stop comparing it to cities around the world to justify its current ugliness and dullness. SOLIDERE not only robbed properties, it shamelessly made Beirut a hideous soulless stack of buildings. What character? Beirut must one of the world’s ugliest capitals. The centre doesn’t even have character at all, is just a sterile wasteland. So far, the whole rebuilding is mostly adding kitsch. We can do better than putting a replica of a 17th century Ottoman mosque on Martyr’s Square. Imagine if this would have been a Gehry or Hadid design. It would have created a landmark for the city, the way the Guggenheim revamped the whole Bilbao area. The new designs – apart from Norman Fosters lifeless towers and the overrated French copycat Nouvel – are very exciting. We are living in the 21t century. let’s build like the 21t century. It’s working in Berlin, so why not here.